A simple compatibility patch between ApolloDown's Simple Magic Overhaul and T3nd0's Perkus Maximus. Bethesda for Skyrim, the Creation Kit, and the rest of the Elder Scrolls universe. 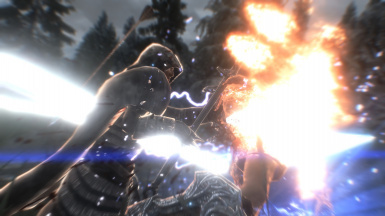 ApolloDown for creating Simple Magic Overhaul and other fantastic gameplay mods. 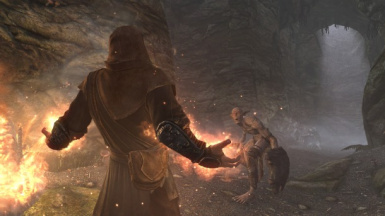 T3nD0 for creating SkyRe and PerMa, two overhauls that have greatly increased the lifespan of my Skyrim. Simple Magic Overhaul (SMO) relies on the player's perks for most of its features, perks that Perkus Maximus (PerMa) doesn't use at all. To fix this, I've redefined SMO's FormLists to refer to PerMa's equivalent perks in the mage trees. I've also modified PerMa's spells to similarly reflect its perks. The end result is this small patch. From my tests there haven't been any issues, but if you find one please let me know in the comments. Requirements: Perkus Maximus (v1.6.4) and Simple Magic Overhaul v2.0, obviously. Mod Manager installation: Install normally with a mod manager. Manual installation: Extract SimpleMagicOverhaul - PerMa Compatibility Patch.esp into your ..\Skyrim\Data folder. Load order: Place beneath both PerkusMaximus_Master.esp and SimpleMagicOverhaul.esp, as both are masters. Remove SimpleMagicOverhaul - PerMa Compatibility Patch.esp. Should be compatible with everything its masters are compatible with.